As summer winds down and school is around the corner, you may be looking for new topics to teach your kids to ease them into the new school year. Try stimulating their natural infinity for discovery with animals! Large or small, farm or wild, animals can be great objects of interest for your little one. Animals are a wonderful way to support children of all ages at home in their school studies from math and literature to developing an interest in the process of scientific analysis. From gold fish or hermit crabs to dogs or cats children are delighted by the companionship that animals’ can offer. 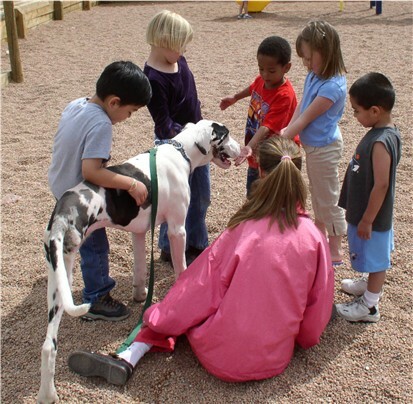 Interactions with the family pet offer both entertainment and stimulate a child’s emotional and cognitive development. These relationships and are have the added benefit of stimulating your child’s confidence and even their connection to other humans. This activity can allow your family to understand more about animal, animal safety and the importance of ending animal cruelty. Pets are not for everyone but you and your kids can gain the same positive effects at animal shelters while stimulating an interest in community service! Videos are engaging, informative and great for visual learners. Make screen time an opportunity for discovery and even humor with funny animal videos that feature a multitude of creatures not found in your average day. After watching try encouraging kids to discuss their thoughts about the video, what most interested them, what didn’t and why. If you need some ideas on where to find videos try these. For a multi-sensory activity, animal models are a crafty way to spend an afternoon while learning! They can spark your child’s creativity while nurturing their scientific interests through sparking questions like why an animal has a mane or fins.